Mister Copyright is writing on the Svbtle network. Awards season always seems to arrive with new stories about how piracy is affecting the film industry and the way we watch movies. 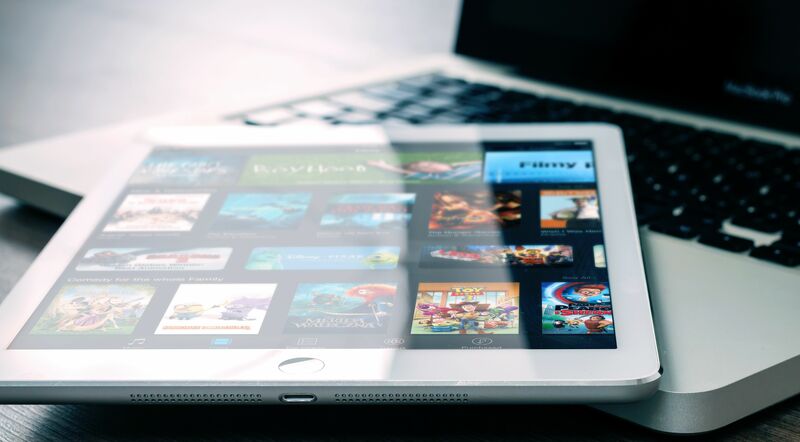 Whether it’s a promotional screener that was stolen and uploaded to a torrent site, or the latest software that allows users to download or stream pirated content, the tales are reminders of the enduring problem of online copyright infringement. This year, when talking to people (outside of the copyright law world) about whether they’d seen certain Oscar-nominated films, the same name kept coming up: Kodi. Specifically, users described downloading the Kodi app to an internet connected device, then adding “plug-ins” or “add-ons” that deliver an extensive library of streaming TV shows and movies, including Moonlight, La La Land, and other Best Picture nominees. Though Kodi’s controversial popularity in the UK has been well-chronicled of late, the software is now becoming the preferred way to stream pirated content in the US, and it’s particularly discouraging because while Kodi is not in itself an illegal service, it is blurring the lines of accountability and contributing to massive IP theft. Billing its product as “open source home theater software,” Kodi is a free media player application that allows users to view streaming media, such as videos, music, podcasts, and videos from the internet on a variety of platforms. Its open source, cross-platform nature enables interaction with third-party devices designed to facilitate infringement by including add-ons that deliver pirated content. Sale of pre-programmed “Kodi boxes” has become widespread in the UK, mostly because of their incorporation of the illicit add-ons. Kodi box popularity is catching the attention of rights holders and broadcasters such as the BBC, Sky, and the Premier League, and the UK’s Intellectual Property Office (IPO) just announced an investigation into the boxes. The group behind Kodi recently acknowledged its connection to piracy, and pledged a renewed effort to distance itself from copyright infringement by going after unauthorized uses of its “Kodi” trademark. Unfortunately, they made the same promise in 2014, and Kodi-related piracy has grown exponentially. It’s also interesting that Kodi is threatening to enforce its own IP rights in an attempt to get people to stop “dragging our name through the muck,” while they simultaneously disregard the rights of the countless creators and copyright owners whose works their software helps pirate. In the same announcement warning of the plan to curb unauthorized use of its trademark, Kodi Product Manager Nathan Betzen displays a lack of concern for other victims of infringement. Team Kodi maintains an officially neutral stance on what users do with their own software. Kodi is open source software, and as long as the GPL [General Public License] is followed, you are welcome to do with it as you like. In the United Kingdom, a concerted effort was just announced to go after the source and target the servers feeding the illicit streams to the Kodi add-ons. Initially obtained by the English Premier League—the top-tier football (or soccer) organization in the UK—a High Court injunction will allow the League to compel the largest ISPs in the country to block the actual source of pirated streams, rather than engage in website whack-a-mole. The strategy involves going “up the content tree” to attack the servers where the streams originate, and for the moment, it seems that the ISPs are willing to cooperate. In the US, in lieu of acquiring pre-programmed Kodi boxes, users are downloading the Kodi software directly to laptop computers, Amazon Fire Sticks, or smart TVs, and adding the illicit add-ons themselves. It makes going after Kodi for infringement difficult because its product is essentially a media player and is not actually distributing or making copies of the movies and TV shows it streams. Like the VCR thirty years before it, Kodi is capable of non-infringing uses and is likely to claim that it has no control over the bad actors using their product to infringe. But liability for copyright infringement can extend to those who facilitate theft under the theory of secondary liability, which includes both vicarious and contributory liability. Just last year, in BMG v. Cox, a federal judge upheld a $25 million penalty against ISP giant Cox Communications for contributory and willful copyright infringement. Despite arguing that its Internet service is just like the VCR in Sony v. Universal, and therefore should not be liable for infringing acts of its customers, Cox was found to have made a material contribution to the infringement simply by providing the means—also referred to as the “site and facilities”—for a user to infringe, and to have had knowledge of repeated instances of infringement. This combination of material contribution and knowledge satisfies the test for contributory infringement, and the District Court’s finding represents a clear assignment of accountability to those that turn a blind eye to piracy. Though Kodi is different than Cox’s Internet service in that once the software is downloaded, its decentralized architecture means Kodi has no ability to monitor or control what it’s used for, the Supreme Court has made clear in MGM v. Grokster that the decentralized nature of software is not enough to escape contributory liability. If Kodi’s primary use can be shown to be streaming infringing content, it could face the same fate as some other illicit streaming services such as Popcorn Time. Those behind Kodi know that contributory liability for open-source software is somewhat of a gray area of copyright law that allows their product to exist, but as the Kodi name becomes more and more synonymous with piracy, it may become harder to avoid accountability.